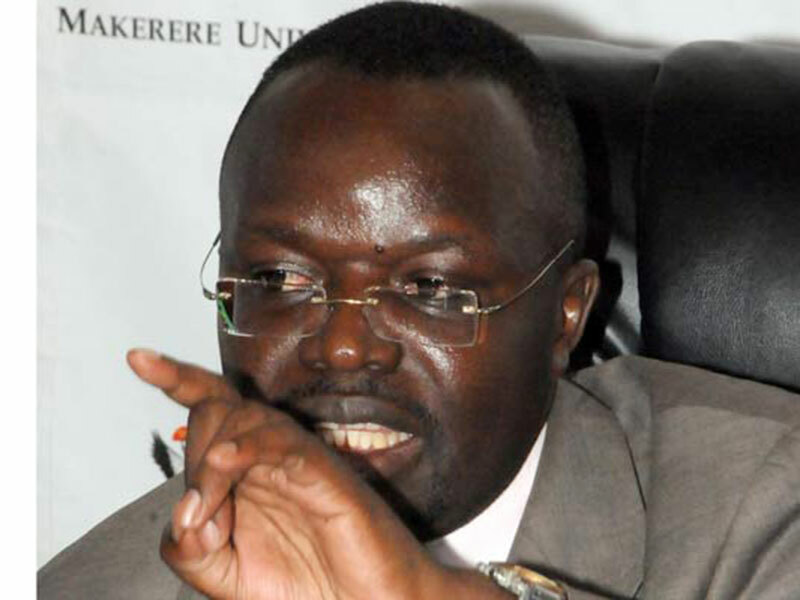 NAKAWA: The chairman of Makerere University Business School (MUBS) Council, Prof Venasius Baryamureeba, was on Tuesday afternoon whisked from the school’s main hall by police amid threats of lynching by students. Studies at the institution were Tuesday morning disrupted after students went on strike, demanding Prof Baryamureeba’s resignation from the position. Prof Baryamureeba and other council members were holding a meeting at the school’s main hall. However, students, who were carrying placards with different inscriptions insulting him, showed up at the hall and attempted to force their way to reportedly attack Prof Baryamureeba, whom they accuse of interfering with the work of the principal, Prof Waswa Balunywa. However, they were blocked by police and student leaders, including the guild president, Julius Ntanda, urged them to calm down, saying their issues were being addressed. However, the student refused to leave the vicinity of the main hall, claiming they want to hear the outcome of the council meeting. Immediately after the meeting ended about 2.50pm, Prof Baryamureeba was whisked away by a police pick-up truck. Prof Baryamureeba and Prof Balunywa last month clashed over the management of the institution. On May 24, Prof Balunywa wrote a missive to Prof Baryamureba, accusing him of gross interference in the institution’s management. However, Prof Baryamureba also accused Prof Balunywa of being a “bully” who only cooperates with people who bow to his demands while pushing out those who provide alternative ideas. He said there is need for a commission of inquiry into his management systems at MUBS so that a report is issued to reveal how poorly he had managed the institution.